Derby County and Leeds United meet at iPro Stadium, in a match for the 2nd round of the Championship. The history of direct confrontations played in this stadium is favorable to the home team, which in the last 5 matches won 3, drew 1 and lost 1. But the last time these two teams played a match in this stadium, in 21- 02-2018, for the Championship, the two teams tied by (2-2). A. Weimann (45 ‘) and K. Palmer (90’) scored the goals for Derby County, and P. Lasogga (34 ‘) and E. Alioski (79’), for Leeds United. Leeds United presents considerable differences in their results at home and as a visitor, so in this game the home factor may be decisive. The home team reaches this 2nd day after a victory in its premiere in the league, against Reading, by (1-2). This is a team that usually maintains its competitive levels in home and away matches, since in the last 30 matches they register 5 wins, 5 draws and 5 losses in away matches; against 8 wins, 4 draws and 3 losses at their stadium. 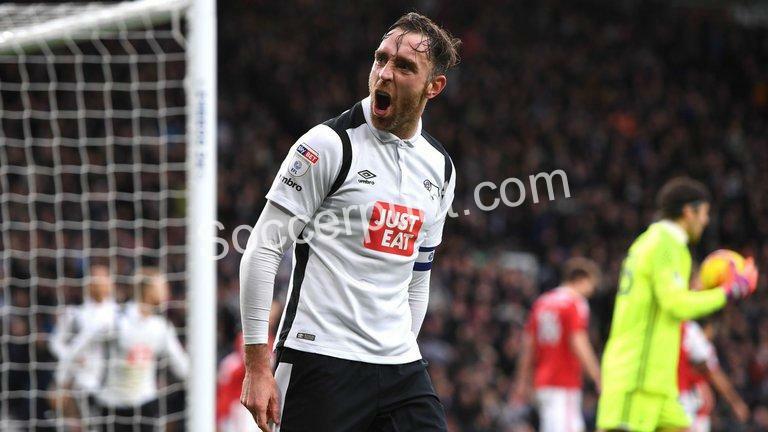 Derby County has won 6, tied 1 and lost 3 of the last 10 home matches. They have not been very strong defensively, since they have suffered goals in 7 of the last 10 matches, but their offense has scored frequently, since they have scored goals in 9 of the last 10 matches. The Derby County comes to this day with a win away from home against Reading, 1-2, starting in the best way this second division English: the goals were scored by Mount and Lawrence. In this game against Leeds, new coach Frank Lampard will have to line up his team in a 4-3-3, privileging possession of the ball and organized attacks through the flanks, especially through the right. Tom Lawrence is one of the great highlights of this team, being a very fast and strong player in the hand to hand. Out of this reception to Leeds are Martin and Anya, both with physical problems. The away team comes to this 2nd round, after the victory in its premiere in the league, against Stoke City, by (3-1) This is a stronger team with the support of their fans, since in the last 30 matches records 2 wins, 5 draws and 8 losses as a visitor; against 8 wins, 3 draws and 4 losses at their stadium. In the last 10 away matches Leeds United has won 2, tied 3 and lost 5. Defensive consistency has not been their best feature, as they have conceded goals in 8 of the last 10 matches, but their offense has scored regularly, since he scored at least one goal in each of the last 10 games. Leeds United had a first day of sleep, as they added a victory over Stoke City, 3-1: the goals were scored by Cooper, Klich and Pablo Hernández. In this match against Derby County, coach Marcelo Bielsa must keep the team in 4-3-3, being the most advanced position occupied by Kemar Roofe. However, we emphasize the importance of Kalvin Phillips in the tactical scheme of the foreign formation, a very competent player in the defensive balance. Apparently, there are no absences of weight for this according to game.